If getting your home sold in the shortest amount of time possible while still getting maximum market value is important to you, you've come to the right place! The only way I could feel comfortable and confident in being able to offer this exclusive program is after years of perfecting the most productive marketing plan on the planet. I am so confident in our marketing plan and sales systems that it NEVER varies, whether you have a smaller home or a luxury mansion. The plan is the plan and it flat out works! One of the biggest dilemmas when selling a home is deciding whether to hire a real estate agent or try to sell it yourself. Hiring the wrong real estate agent is risky because your home could end up sitting on the market for a long time without an acceptable offer or you could be forced to sell and compromise your bottom line. 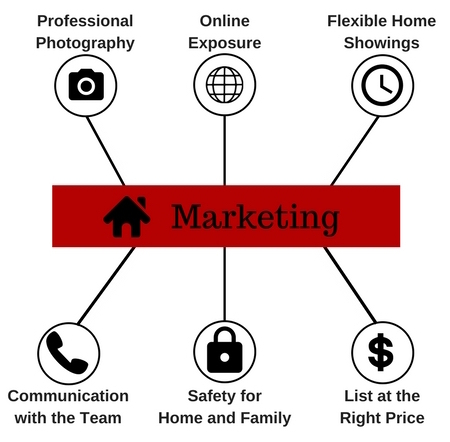 When you list your home with our team, we can assure you that it will be sold within a time frame acceptable for you. We are confident in our knowledge of the current real estate market and the effectiveness of our marking plan enough to say we WILL sell your home in 29 days of less! If you want your home sold FAST, call The Music City Group right away to discuss our plan in achieving this goal for you! Are Your Ready To Sell Your Nashville Area Home?